These smart looking EKO Mirage kitchen rubbish bins are great for tight spaces. It's rectangular, with flat body shape, ideal for leaning against walls or kitchen cabinet units. Only 37.5cms wide, 25cms deep and 62.4cms tall it has a premium stainless brushed steel body with a fingerprint, rust, and smear proof finish. The motion sensor activated opening lid opens with a wave of your hand and closes automatically when you leave. It has a digital touch screen display panel offering a visional count down with a manual override open and close button. Stylish, sleek and perfect in any modern-day kitchens. 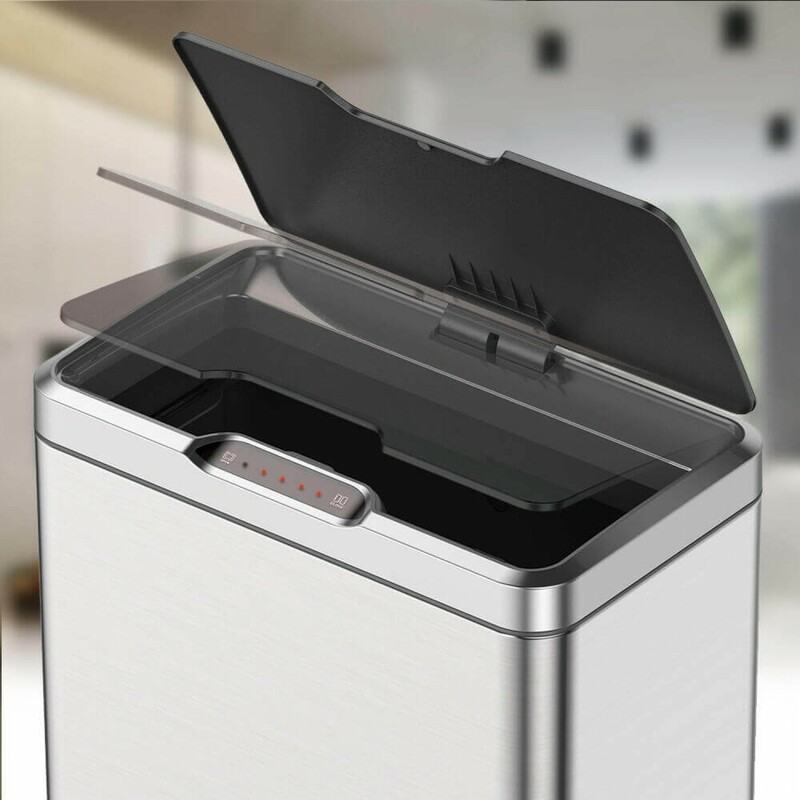 The indoor EKO Mirage kitchen rubbish bins are the perfect 50 Litre capacity kitchen waste bin for a busy home or office environment. 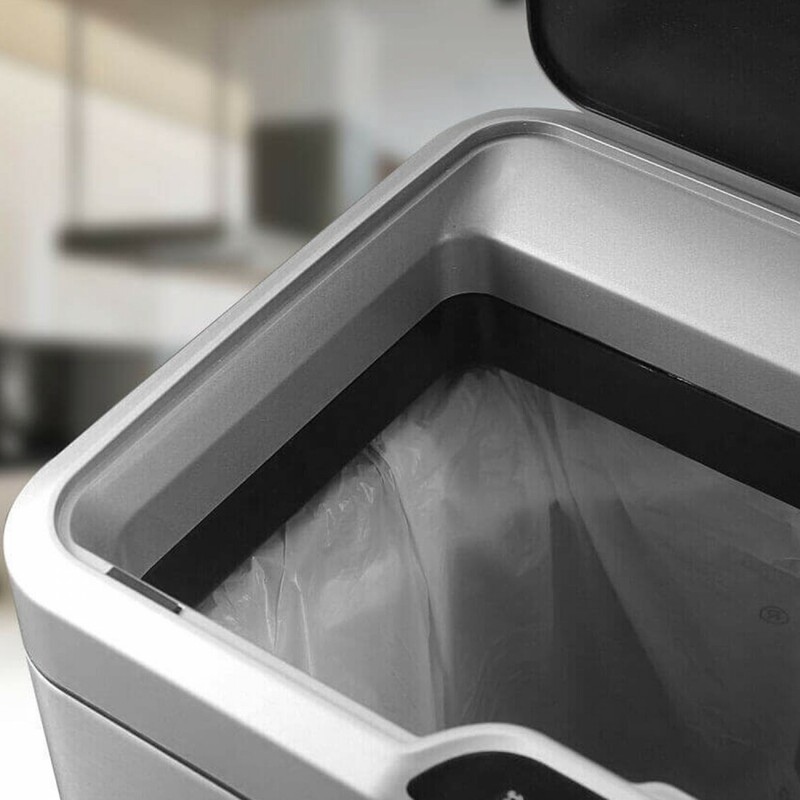 It's a smart rubbish bin, which means it helps you keep your home clean and tidy. It has sensors built into the lid so that you can open the lid with the Wave of your hand, or elbow when your hands are full. The lid opens automatically, so you can quickly empty plates and deposit the litter - all without ever touching the kitchen rubbish bins. However, there is a manual override that allows you to press “open” for longer opening and when ready by pressing “close” this re-activates the sensors for motion activation. This is further supported by a visual digital display. The lid closes automatically, softly and quietly. OR, you can Press the touch close button as well. Your bin, your preference. 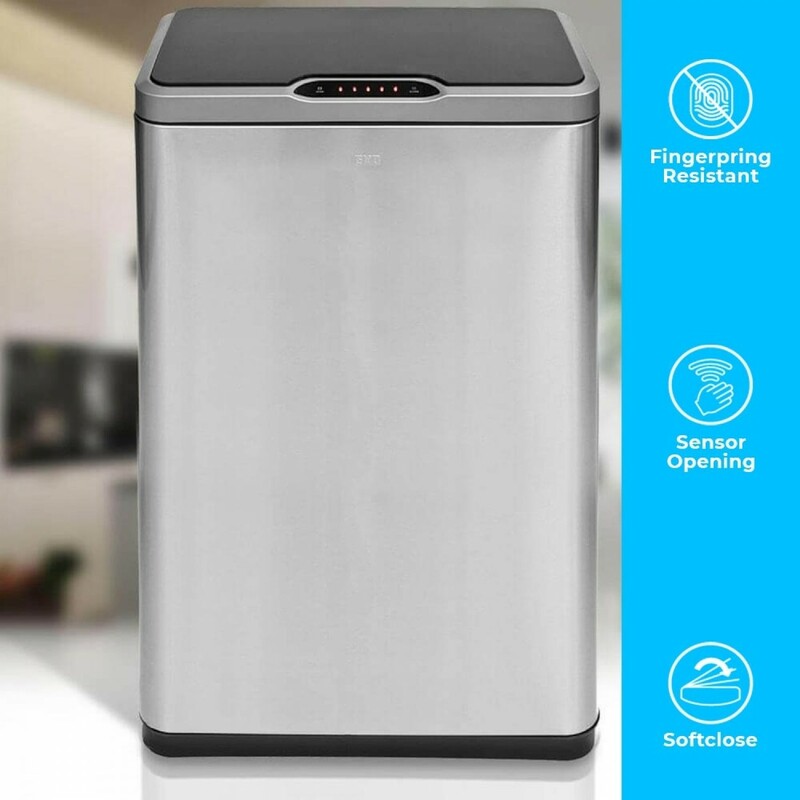 The Autobin has a sleek exterior is stainless brushed steel, with a fingerprint resistant finish that stays looking cleaner longer. It has a vented plastic base for easy cleaning and odour control. And, best of all, it has an intelligent bag system that creates less mess than ever. The removable rim secures your disposable plastic bin bag in place. The rim has two folding interior handles to wrap your bag around. The handles then fold down and lock into place. it's clean, convenient, and smart.